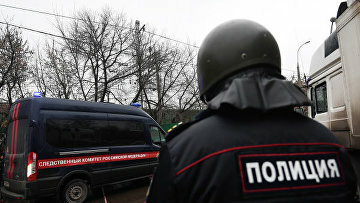 High-ranking prosecutor arrested on suspicion of corruption at attempt to leave Russia | Russian Legal Information Agency (RAPSI). MOSCOW, October 26 (RAPSI) – First Deputy Prosecutor of Russia’s Republic of Bashkortostan Oleg Gorbunov suspected of taking bribes has been arrested while attempting to flee abroad from Moscow’s airport Sheremetyevo, the Investigative Committee’s press service reports. According to investigators, in 2017, Gorbunov and one more republic’s prosecution official Artur Sharetdinov received 10 million rubles (over $150,000) from a first deputy head of Ufa, the capital of Bashkiria, for repeal of an order on institution of a criminal case concerning a substandard housing resettlement program. Sharetdinov has been arrested as well. Charges are to be brought against the suspects soon, the Investigative Committee’s statement reads. Investigators will also motion for their detention.